Have you ever seen a Broadway musical or watched The Wizard of Oz or The Sound of Music on television? The stars of those highly entertaining shows are referred to in show business as triple threats. This means that they are incredibly strong and talented in three distinct disciplines: singing, dancing, and acting. We decided to call our daily micronutrient-dense, muscle-building, and fat-burning shake the Triple Threat, as well, because we felt it covered all the bases. It is everything you would want or need, all wrapped up in one great-tasting creamy beverage. It combines the vitamins and minerals from nutreince with the amino acids from IN.POWER protein, and the fat-metabolizing and brain-boosting power from SKINNYFat. Basically, it takes our three foundational products and creates two meals a day that are perfectly formulated for all day energy and lasting micronutrient coverage. You can watch the video above and see how we make them in our kitchen, our recipe is below! Don't forget, if you grab a copy of our new book, The Micronutrient Miracle, (available for pre-order here) it includes this recipe and SO MANY MORE like it! We've got fun and exciting announcements surrounding the book coming soon as well! 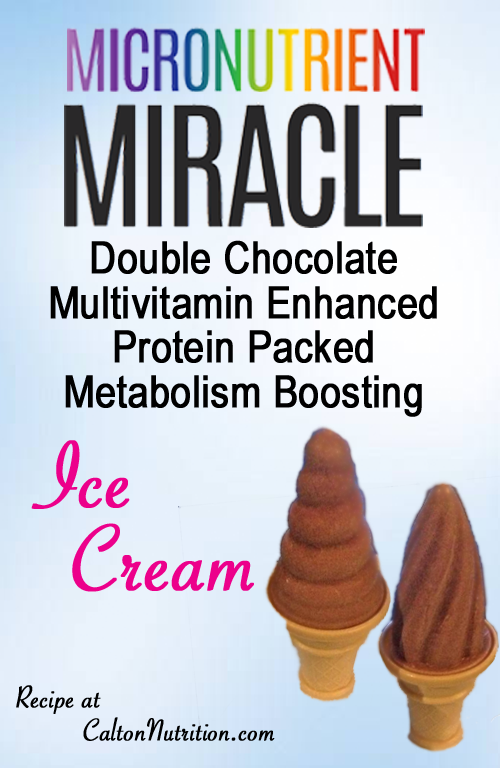 To make chocolate ice cream, use the chocolate PM packets of nutreince, and add chocolate stevita – YUM! Combine all ingredients above and place into an ice cream maker. Follow the instructions given by the ice cream maker. Or, as you'll see in our video, you can also place it in fun little molds and freeze. Unlike other traditional ice creams that are packed with sugar – this recipe is a nutrient packed treat! Enjoy, and enjoy a little laugh at the video below!